But according to the Associated Press, the French Tennis Federation wasn’t feeling the look, so a new dress code has been implemented that bans her from rockin’ the onesie in next year’s installment. “I think that sometimes we’ve gone too far,” French Tennis Federation President Bernard Giudicelli explained to The AP in reference to players’ outfits which have become too unique for the sport. “It will no longer be accepted. One must respect the game and the place,” he added. In addition to making her feel like superwoman, the catsuit nearly saved her life. Following the birth of her daughter Alexis Olympia last September, Williams revealed that she used a specially designed bodysuit that helps prevents blood clots from developing in the legs. “I’ve had a lot of problems with my blood clots, God I don’t know how many I’ve had in the past 12 months,” she explained at a news conference in May, according to NPR. “I’ve been wearing pants, in general, a lot when I play so I can keep the blood circulation going,” she said. 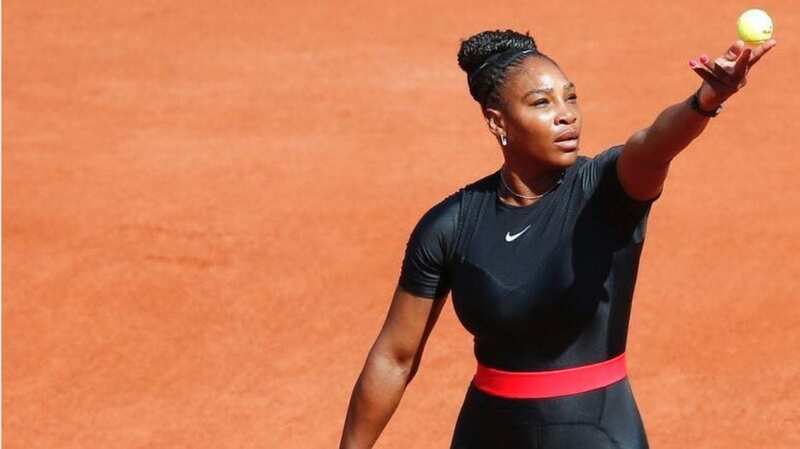 Williams donned the catsuit in her first Grand Slam since giving birth and dedicated the attire to moms who have had a tough pregnancy.